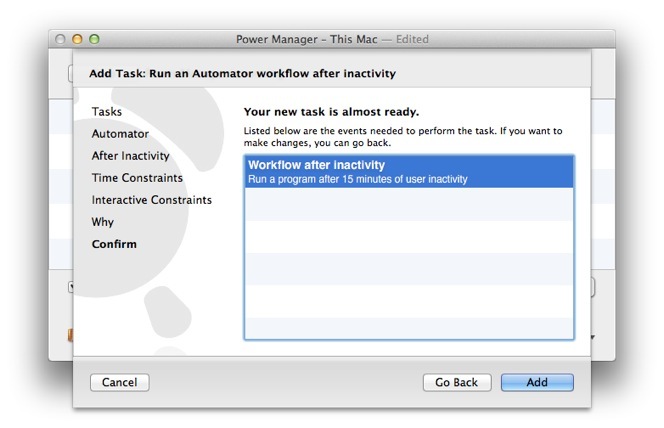 This recipe shows how to get an Automator workflow to run after a period of user inactivity. 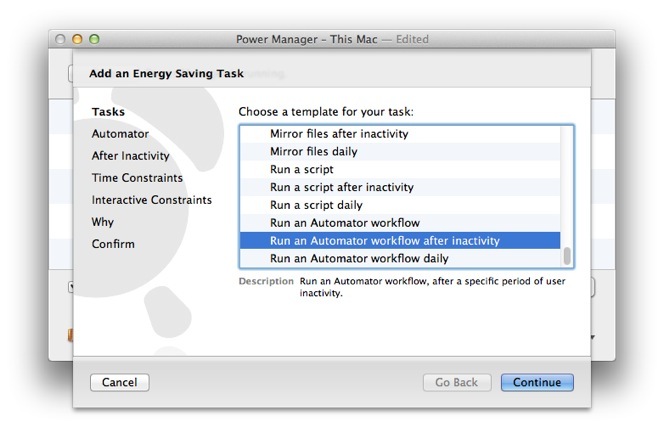 If the Mac is left idle, you can use Power Manager to automatically run a Automator workflow. 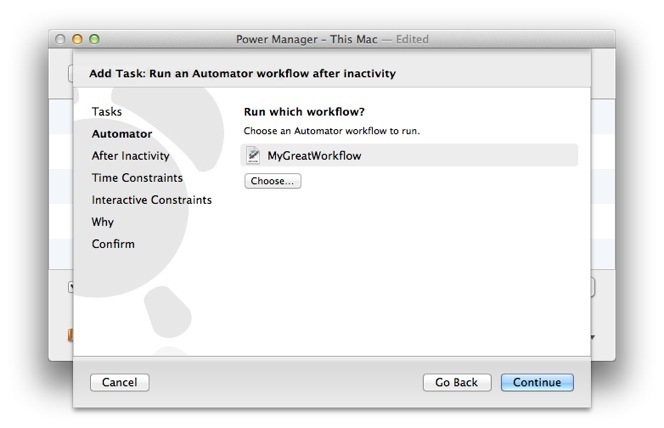 A workflow can be used to present warnings, clean up files, or run complex sequences of tasks. 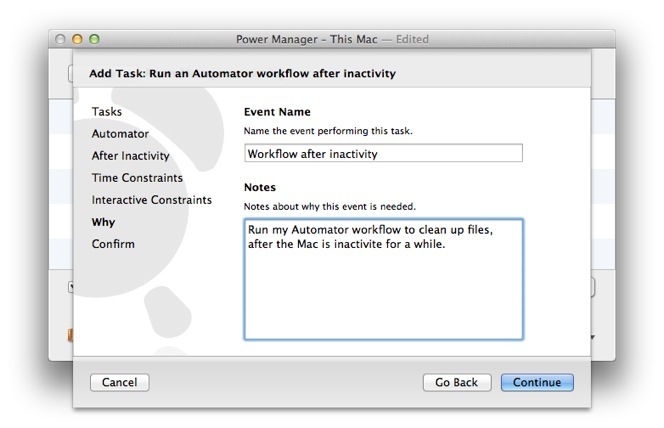 Let's create an event that runs an Automator workflow after 15 minutes of user inactivity. 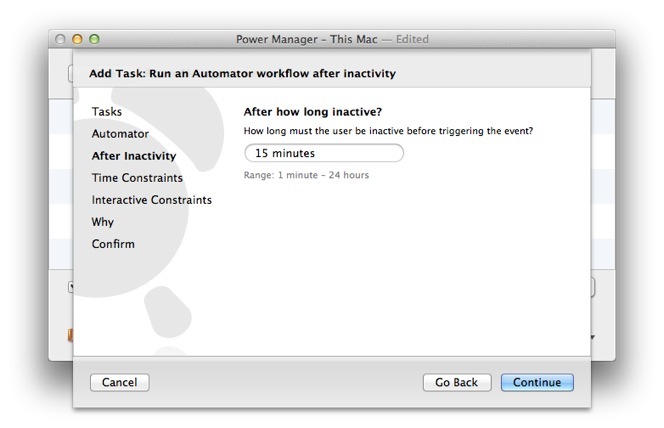 Adjust the period of inactivity to wait. 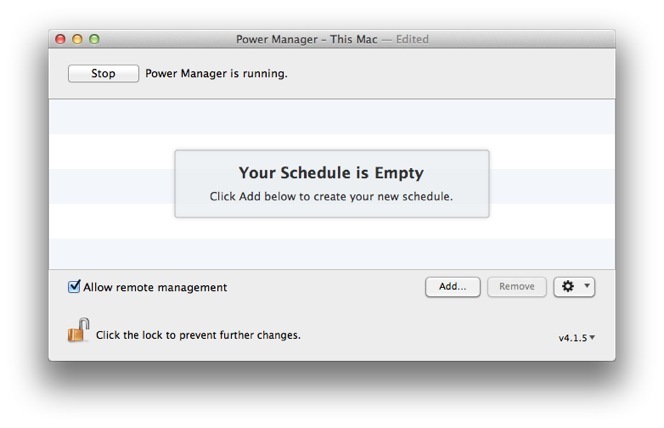 Your event is created and immediately scheduled. 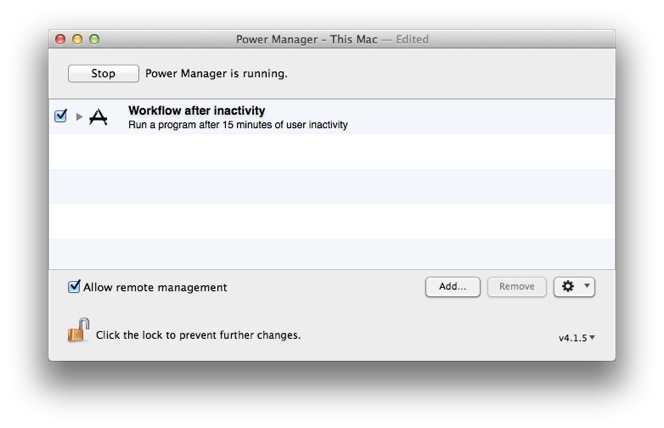 If you leave your Mac alone for 15 minutes, the Automator workflow will automatically run for the active user. 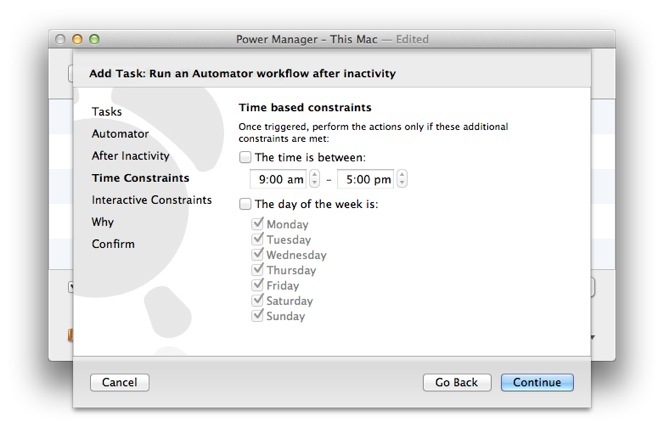 If you need to perform tasks when no-one is logged in, consider scheduling a shell script. 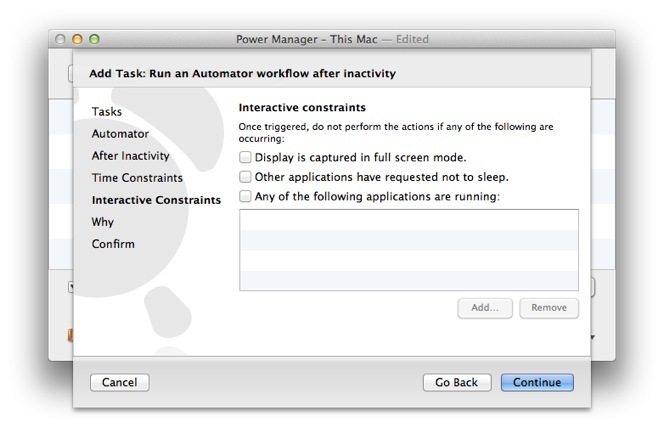 This article was posted in PM4, Power Manager, and Recipe and tagged Automator, inactivity, and workflow.